Even though many of us look forward to summer, the unbearable heat of some days can still chase us inside to hide with the comfort of our air conditioners. But before the dog days of summer really start howling, you can take steps to prepare your lawn for the hot days ahead. 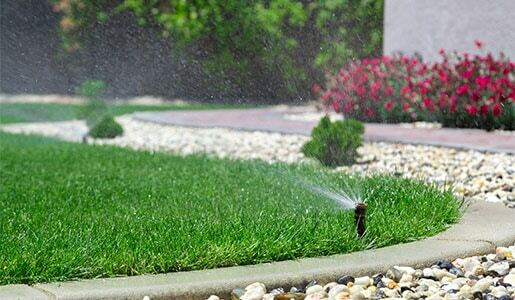 Most lawns need an average of 1″ of water per week during the growing season. Grass suffering from a lack of moisture will have a bluish cast, and will not spring back after being stepped on. Severe water deprivation will eventually lead to dormancy and a brown lawn. Light sprinklings can actually do more harm than good. Make sure you water your lawn to a depth of 6″ and make the most of every drop, too, by watering during the cooler parts of the day to avoid loss through evaporation. Weed activity increases with the temperature. These hardy villains can survive with less water than grass. By watering deeply, you can support a thick lawn that will crowd out many weeds. It will also help to mow your lawn higher. Taller blades of grass keep the sun from reaching weed seeds and small plants. A longer blade also provides more food for the grass plant. Disease organisms lie dormant in many soils, until conditions are just right for them to flourish. Periods of hot, humid weather are one of the highest risk times for disease outbreaks. The symptoms of lawn disease can be mistaken for heat stress. Upon closer inspection though, some sort of spotting or banding on the grass blades can be seen. Also, disease will often start in one area and then spread, instead of affecting the entire lawn all at once. So, before the sun starts beating down and you sneak inside for some relief, make sure your lawn is ready for the heat. 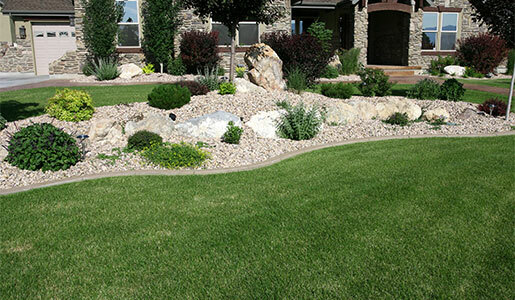 A healthy lawn is always the best defense against the stresses of summer.